Construction costs in London have soared to become the second highest in the world after New York, and are set to rise another 5%. Demand in residential and commercial sectors in particular is keeping a strained supply chain at full stretch, according to new research by the global programme managers Turner & Townsend. The most expensive place to build in the world is New York, which has significantly higher labour costs. Despite having a workforce nearly 70% cheaper than New York’s, London’s overall cost of construction is just 4% lower. But cost consultants warn that with a real risk of further price escalation as demand levels outstrip capacity in key trades London may soon eclipse the US city. 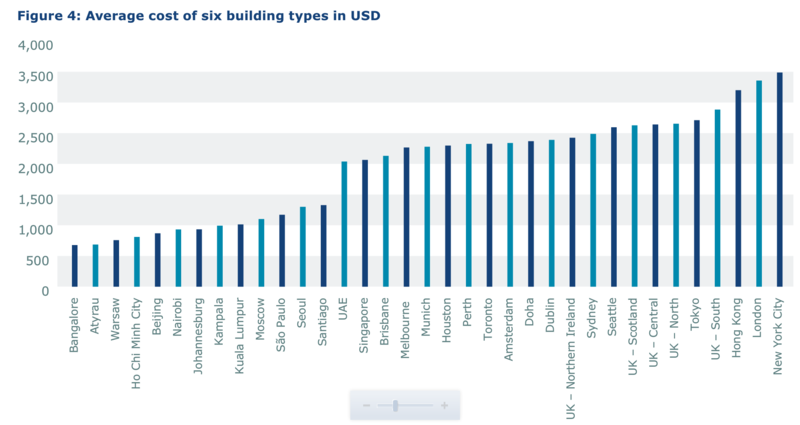 The International Construction Market Survey 2015 analysing input costs – such as labour and materials – charts the average construction cost per m2 for both commercial and residential projects in 35 markets around the world. At £2,283 per m2, London’s average construction cost is second only to New York’s – which at £2,372 per m2 is the world’s highest. Both cities are enjoying similar property booms. £70bn is forecast to be spent on construction in New York during the next three years, compared to £62bn in London. But there is a wide gap in the cost of labour, with New York’s construction workers earning an average of £53 per hour – nearly 70% more than the £32 earned by builders in London, where a ready supply of workers from other EU countries has helped to limit wage increases. Despite its high cost, New York’s labour force is highly productive, says the report, with weekend working more commonplace and contractors taking a more efficient approach to logistics. The research also found that construction costs are moving at different speeds across the UK. While inflation is highest in London, costs are predicted to rise on average by 4% in the south and 3% in the north of England over the next year. Several areas of the market, including parts of London, are experiencing far greater increases as capacity and contractor appetite for risk becomes an issue. 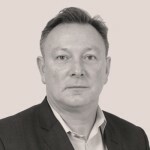 Jon White, UK managing director, Turner & Townsend, said: “Input costs are key, with labour accounting for around 40% of the total cost in London. 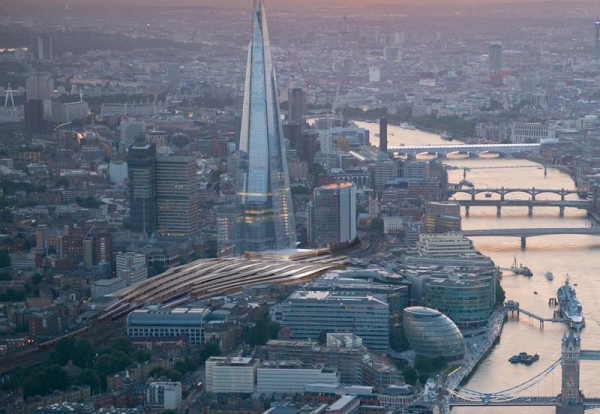 “The comparison between London and New York is a tale of two booms. Both cities have powerful financial sectors and are seeing steady price inflation amid intense development in both commercial and residential property. “Our research shows that demand is outstripping supply in the UK and tender pricing is likely to remain volatile as a result,” he warned.